Applications must be submitted to the County Treasurer's Office where eligibility is determined. Approved applications will be forwarded to the Department of Transportation who will assign plate numbers and send plates to the County Treasurer's Office. Allow four to six weeks for processing. The Wyoming Department of Transportation (WYDOT) will determine eligibility for a license plate or placard. 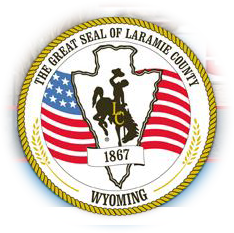 the County Treasurer's Office will issue plates and registration upon approval from WYDOT.